OK, we've finally arrived at the nitty gritty point. In this post I'll be divulging some of the best locations for beach placer gold mining in California and Oregon so hang on to your picks and shovels. As a general rule you want to confine your beach placer prospecting and mining in the once Golden State from San Francisco northward. If you head south from the Golden Gate the only gold you're gonna find will be in the form of "goodies" like gold rings, bracelets, necklaces, coins, etc. If that's your gig (and it can be highly profitable if you know the ropes) I'd work around Morro Bay, Santa Cruz, San Luis Obispo, and all points south from those locations. But we're talking about placer beach gold (and platinum) here so let's head north from Frisco to Eureka, California. Some placer beach gold can be found south of Eureka all the way to San Francisco but I'm pushing you toward the best areas and those locations are north of Eureka, OK? Two important notes: 1) Check to see if prospecting and mining are allowed along the beaches you select. Usually state beaches or national seashore areas are off limits to mining and treasure hunting. This applies to both California and Oregon. 2) WORK the aftershore areas primarily. Those parts of the various beach structures are your best bet for finding beach placer gold and platinum groups metals (PGMs). I can't emphasize this point strongly enough. 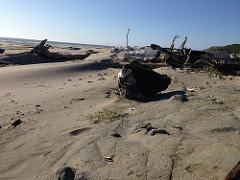 These beach placers lie about 10-12 miles north of Eureka and extend southward for some distance from Trinidad. 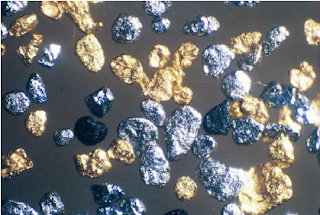 Some PGMs can be recovered here as well, including light PGMs (palladium, rhodium, ruthenium mixtures) and heavy PGMs (platinum, iridium, osmium mixtures). Try the Little River area near Trinidad. That's where the best gold is. Moving northward from Trinidad are the Big Lagoon beach placers. Again, PGMs have been recovered here as an adjunct to placer gold. Heading north from Big Lagoon the next area with substantial potential for beach placer gold and PGMs is Orick. Just north of Orick is the Gold Bluffs area and the name is all you need to know. Gold Bluffs was a good gold producer in past times, so it deserves more attention than some California beach placers. Significant amounts of placer gold have been taken out of the wild and woolly Klamath River area inland and the areas just north and south of where the Klamath empties into the Pacific Ocean are good for beach gold and PGMs. The richest California beach placers you'll come across extend northward from Crescent City to the Oregon border. A lot of gold and PGMs have been recovered here and there's still quite a bit to be had. 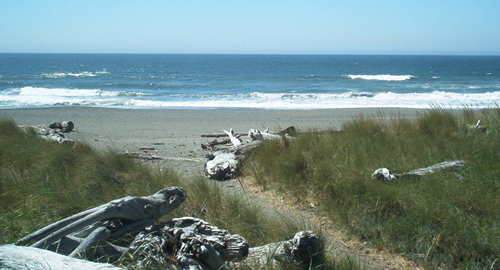 Extensive beach placers can be found along the shoreline from the Oregon border to just north of Brookings. Gold Beach is some distance north of Brookings and is probably the most well-known beach placer area in Oregon. Quite a bit of placer gold and some PGMs have been recovered here. Note that the beaches here are almost completely composed of black sand! Just north of Port Orford, Oregon is Cape Blanco. 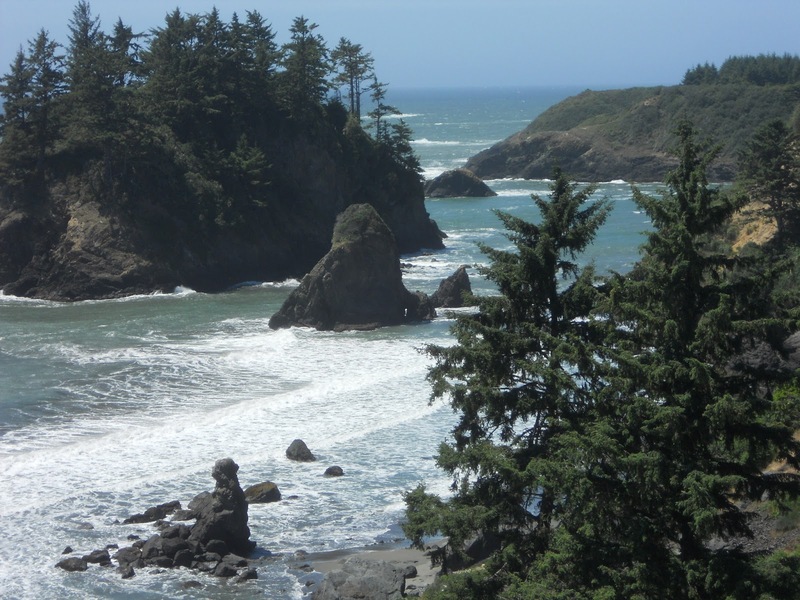 Substantial beach placers extend from just north of Port Orford to Cape Blanco and the every point north all the way to Coos Bay. In the old days Cape Blanco was rich in beach placer gold and so were the beaches in and around Port Orford. Beach placer gold can be found here in reasonable quantity to the north and south of Bandon. Not too far north of Bandon is Whisky Run. 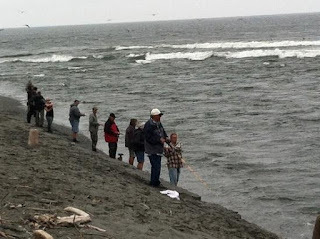 Beach placers here were very rich at one time and the old timers took, on average, five troy ounces of placer gold out of the aftershore areas here per day. That ain't small potatoes my friends! If you decide you to do some beach placer mining you can expect a ration of about 1 PGM per 10 pieces of gold. So for every 10 fine pieces of beach gold expect one fine piece of PGM. Ditto for flakes. 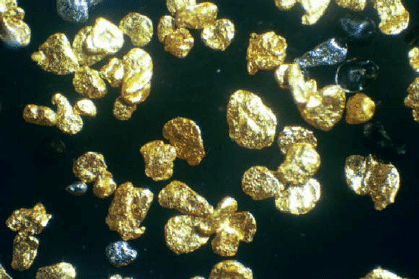 Although some fairly large gold and PGM nuggets were recovered at all these beach locations in past years, understand that most of the gold you'll recover on California and Oregon beaches will be in the form of fines and flakes.